New - limited - collection by Stop Staring! 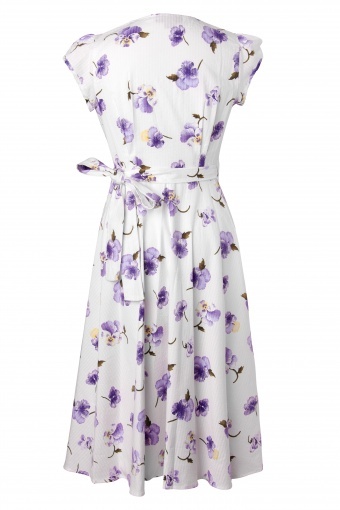 The Pansy 40s Wrap Dress is the ultimate romantic summer dress! 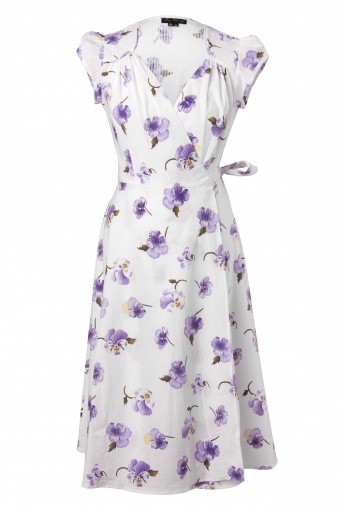 Made of a top quality cotton with a slight stretch and a structuur that adds style on this dress! The floral print is hot this season, yet timeless. The Lovely wrap styles is just perfect for all body types. Beautiful subtle detailing like the elegant 40s inspired pleated v-neck which suits all cup sizes, flattering short puffsleeves which aren't too tight, pleated details at the buck and a swirly A-line skirt wich comes below the knee. Stop Staring! is one of the best exclusive retro labels available, be pleasantly surprised by the high quality and perfect fit! 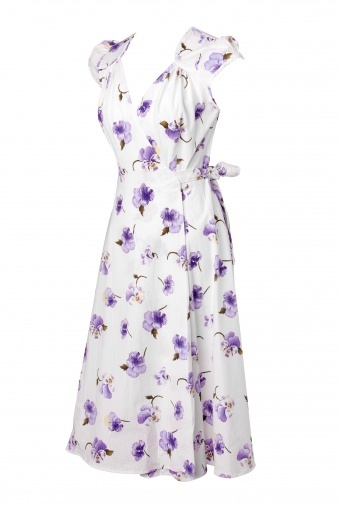 Yes, hij staat hèèl mooi mijn Pansy Wrap dress. Bedankt die gene die hem terug stuurde. Wel nog even `n onderjurkje gekocht tegen het door schijnen, komt altijd wel van pas.